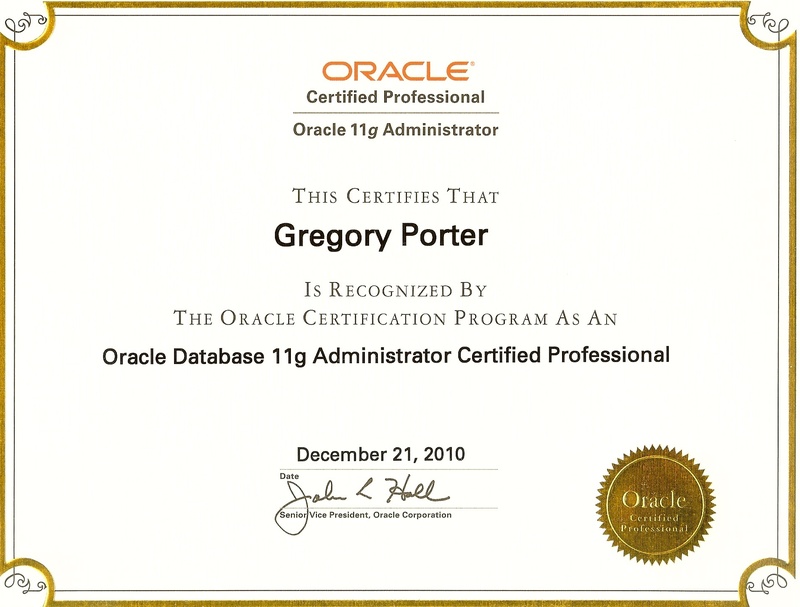 Since I’ve been working on getting my Oracle certifications current, I kept studying after I passed the 10g upgrade test a couple of weeks ago. I passed the 11g upgrade test today, 2 weeks later. That’s a pretty fast turnaround time, I don’t recommend it. It worked for me because I have a solid Oracle background. This one was typical. An hour and a half to do sixty-ish questions. I usually prepare by getting a big fat book, but the “official” book got really crappy reviews, so I didn’t buy it. Although not specifically for the 1Z0-050 11g upgrade test, I read this 11g book, which has great stuff on ASM. I also spent a lot of time online, reading Oracle docs. I did get another practice exam from Kaplan Self Test, they are pretty good, something like the real exam. I literally took the practice exam like 80 times, until I got a 100% almost every time.